The Ukrainian Foreign Ministry is continuing to do as much as it can to sign an association agreement with the European Union, Foreign Minister Leonid Kozhara said. 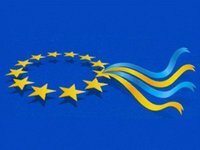 "At the present time, the Foreign Ministry's and other government agencies' efforts are focused on further negotiations with the EU to provide conditions for implementing the association agreement," Kozhara said at a press conference in Kyiv on Tuesday. The signature of the agreement has been postponed due to "objective economic reasons," he said.